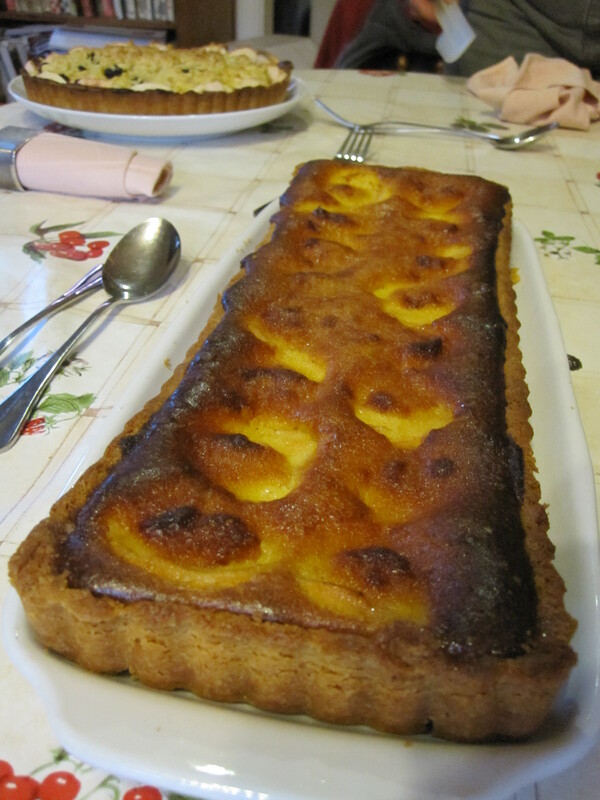 The thing that stayed with me the most about this tart was the honey. 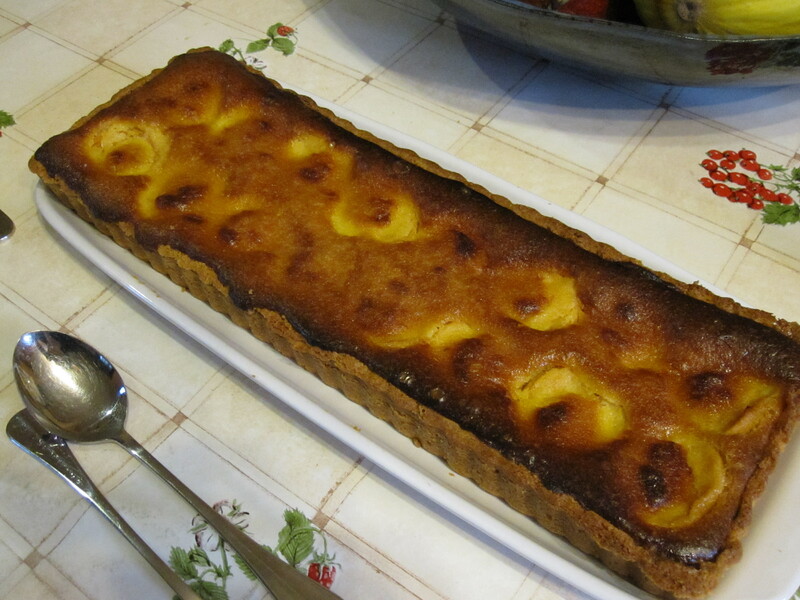 It just added such a lovely, gentle yet striking flavour to this tart it really lifted it out of the ordinary. Apricots and almonds are, of course, a classic combination. I love apricots so I’m always keen to find new recipes so I can enjoy them in copious quantities at their best. Then it’s all over until next year! This recipe’s inspiration and filling came from the delightful Tartelette, go oggle the beautiful food photography and delicious recipes! I did, unfortunately, burn this one a bit. I forgot to turn my oven down so we had the classic combination of starting to burn on the outside, uncooked in the middle. However, I am confident that the temperatures/timings below should work for you. I’m also still getting to grips with my oven, converting to electric from a lifetime of gas is proving simpler than I thought but there are still teething troubles, and I still think in gas temperatures anyway! – Put the flour, sugar and salt in a food processor and give a quick pulse to blend. – Add the butter and blend until it looks like breadcrumbs. – Add the egg yolk and blend until it comes together into a ball of dough, this will take a minute but it will get there! – Remove from the food processor and shape into a flat disc. – Grease a rectangular flan tin (or a round one, aesthetics vary!) and heat the oven to gas mark 6 and preheat a large baking tray. – Remove the pastry from the fridge and press into the tin with your fingers, smoothing it out so it is even. – Place in the fridge for 10 minutes. – Line the pastry with foil and fill with baking beans. – Blind bake for 20-25 minutes on the preheated tray. – In the meantime make your filling. Place the butter, honey, ground almonds and eggs in a large bowl and beat until smooth and well combined. Gently stir in the cream. – Remove the beans and foil from your pastry. (If you try to remove the foil and it won’t come easily, put it back in the oven for 5-10 minutes). – Spoon in a thin layer of the filling into the case. – Arrange the halved apricots in the case. – Spoon the remaining filling over the top of the apricots. Smooth it out to the edges a bit but don’t worry, it will sink down on its own. – Turn the oven down to gas mark 4. 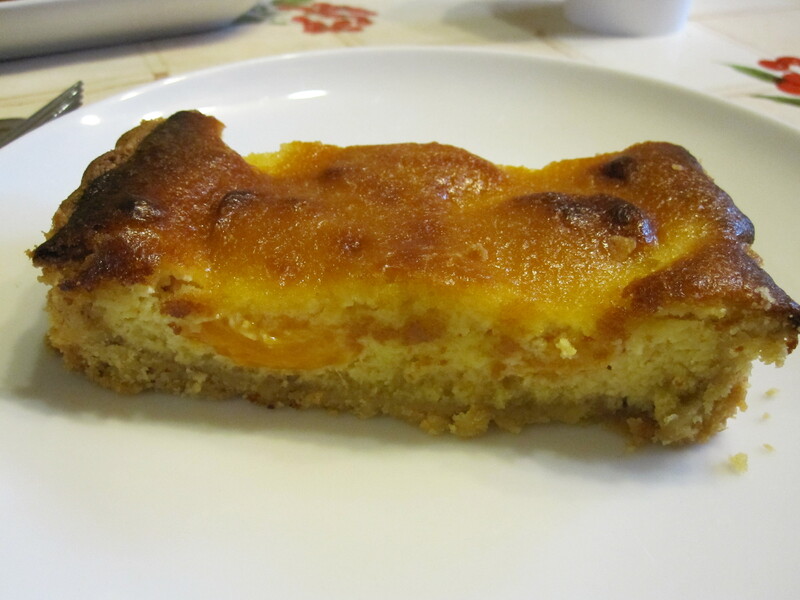 – Return the filled tart to the oven and bake for 30-40 minutes until the centre is set and the top is a golden brown. * I use a cup measurement here because it is easy to measure by eye what volume you are after. With things like honey and golden syrup I tend to just pour and judge by eye. However, if you wish to weigh it into the bowl you want about 115g.